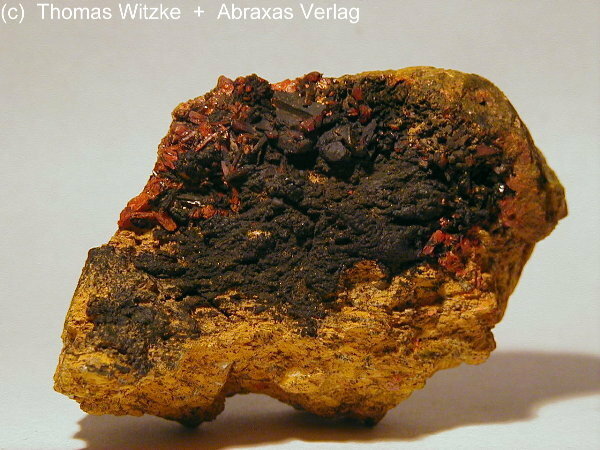 Comments: Black coronadite with red crocoite on matrix. Location: Callenberg North (no. 1) open cut, Callenberg, Glauchau, Saxony, Germany. Scale: Specimen size 7 cm.